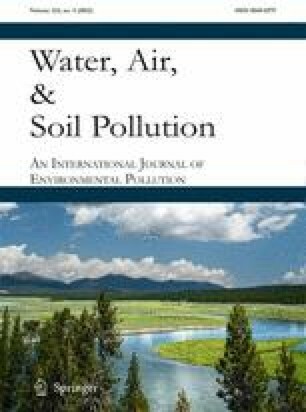 This report deals with the application of ion exchange columns to the treatment of groundwater contaminated by high concentrations of arsenic in the presence of sulphates. Two different process layouts were tested, based on the use of a single column and of two-in-series columns, respectively. Several breakthrough tests were performed, where the effect of the operating parameters, as the influent flow rate, the packed bed height and the feed water composition, were investigated. The collected data were described using three different modeling approaches, based on the Bohart–Adams, Yan and Thomas models, respectively. These models were all found to describe the experimental data with a quite good agreement (based on the R 2 value). The ion exchange capacity evaluated by the models (about 3.8 mEq/g) was comparable with the value provided by the supplier (3.8 mEq/g), but higher than the value determined through batch tests of a previous study by the same authors. The models were then successfully applied to describe the breakthrough behaviour of the two in-series column plant using a real feed contaminated by high arsenic concentrations in the presence of sulphate.